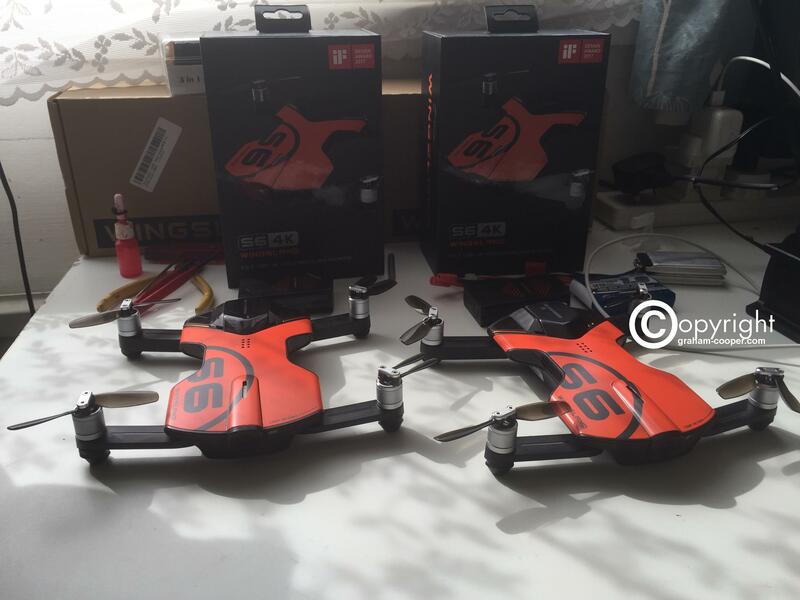 Well, being that my first Wingsland S6 had issues with camera where it would only show a blank screen on app, I ordered another S6 from Banggood. Although ironically after downgrading the camera firmware on my first S6 after putting it back together after the tear down I done , it now works about 8 times out of ten. So maybe was a connection or the older firmware that has improved it. So the one on the right is the new one and the camera works on that every time! The battery with the new one also came with higher resistance on the cells that I would normally expect, but a tad lower than the first battery. Anyways, with a hover test. Was about the same almost 6 mins with new battery and with first battery I also got about almost 6 mins. So it definitely seems normal hover flight time on a battery will be between 5-6 mins and would expect a bit more when flying around normally. Would still like to try this out with the proper R6 controller, but still cant find these for sale anywhere. So yup, I was just unlucky with the first one Banggood sent me and the second one works fine. Although a interesting thing was on the first one there was NO led light hardware inside the quad. But on the second one I can clearly see this one has the led hardware inside.